Were one to read the Washington Post’s article on a Russian proposal regarding the questioning of suspects in various, ongoing US and Russia investigations, they would have imagined former US ambassador to Russia Michael McFaul was about to be shipped to a dungeon beneath the Kremlin for interrogation. The willingness of the White House to contemplate handing over a former U.S. ambassador for interrogation by the Kremlin drew ire and astonishment from current and former U.S. officials. Such a proposition is unheard of. So is the notion that the president may think he has the legal authority to turn anyone over to a foreign power on his own. Putin proposed letting Russians observe interrogations of McFaul and other Americans. In exchange, U.S. Special Counsel Robert Mueller could send members of his team to watch Russian questioning of 12 Russian intelligence agents indicted by a U.S. grand jury last week in connection with hacking Democratic Party email accounts and disseminating those messages before the 2016 presidential election. Americans of interest would be questioned in the United States, by Americans, merely with Russian representatives present, in exchange for American representatives travelling to Russia to watch a Russian interrogation of suspects relevant to ongoing US investigations. We can actually permit representatives of the United States, including the members of this very commission headed by Mr. Mueller, we can let them into the country. They will be present at questioning. In this case, there’s another condition. This kind of effort should be mutual one. Then we would expect that the Americans would reciprocate. They would question officials, including the officers of law enforcement and intelligence services of the United States whom we believe — who have something to do with illegal actions on the territory of Russia. And we have to request the presence of our law enforcement. Despite these facts, the hysteria has continued to spread in part due to a dishonest media eager to fan the flames of conflict with Russia and Western audiences eager to believe them. Who is McFaul? And Why are Liberals Defending Him? Americans convinced Russia interfered in American elections must then be acutely aware that meddling in another nation’s internal political affairs is unacceptable. Thus, McFaul’s role in doing precisely this before and during his appointment as US ambassador to Russia from 2012-2014 should elicit condemnation and outcries from these same Americans. Instead, many Western liberals have leaped to McFaul’s defense. The short answer as to why many in the West are defending McFaul is out of a reflexive response to their blind hatred of US President Donald Trump and Russia. McFaul has positioned himself both as a critic of President Trump and of Russia, fulfilling the only two prerequisites required to garner support among circles entertaining the current anti-Russia hysteria. Yet McFaul represents special interests and activities that many Americans, left or right of the political spectrum, would find unacceptable – and perhaps especially for those outraged over alleged Russian meddling in American politics. 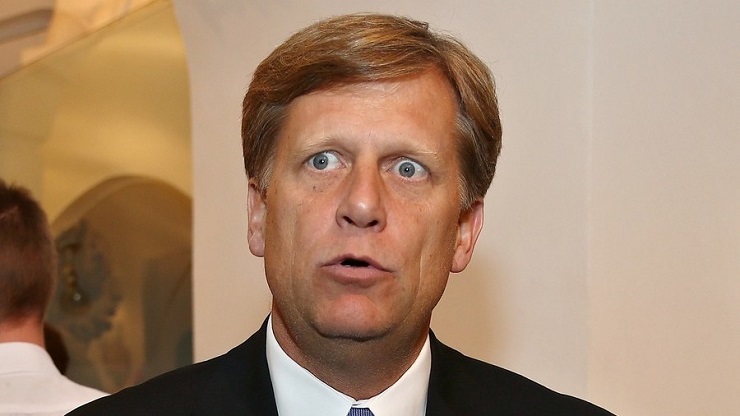 Before McFaul served as US ambassador to Russia from 2012-2014 he served on the board of trustees of Freedom House (page 30, PDF). Freedom House is a US government and corporate-financier funded front that imposes the interests of its sponsors on nations abroad under the guise of expanding “freedom and democracy around the world.” This process entails the creation and support of opposition groups to undermine and eventually either oust or overthrow targeted governments. 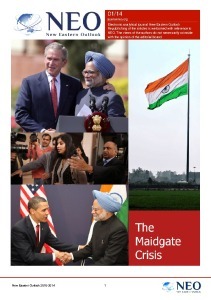 When McFaul served as trustee for Freedom House, its 2005 annual report indicated the US State Department and the US Agency for International Development (USAID) as sponsors. It also included Citigroup, Morgan Stanley, and pharmaceutical giant Eli Lilly. Additionally, Freedom House is a subsidiary of the National Endowment for Democracy (NED) which is chaired by a variety of career, pro-war Neoconservatives – Neoconservatives who promoted many of the Bush-era wars Western liberals opposed. NED is also funded by the US government as well as corporations (page 126, PDF) including Goldman Sachs, convicted financial criminal George Soros’ Open Society, Coca-Cola, Facebook, Google, Microsoft, and the US Chamber of Commerce which itself serves as a collective lobbying front for some of the largest corporations in the US. NED and subsidiaries like Freedom House use the pretext of “democracy promotion” to pressure and even overthrow governments around the world, making way for client regimes that will serve US corporations and their expansion around the globe. In other words, “democracy” is a principle the NED and its subsidiaries hide behind, not uphold with US client regimes often being more abusive and corrupt than the governments they replaced. One would imagine someone like McFaul involved in aiding and abetting corporations in their meddling worldwide and their subsequent exploitation of nations they undermine and overthrow would be the last person Western liberals would rush to the defense of. McFaul’s role at Freedom House would become more “hands on” when he was nominated, then appointed US ambassador to Russia from 2012-2014. During his first year as ambassador, Russian opposition figures funded by the NED and its subsidiaries would report to the US embassy in Moscow to meet with McFaul. Present at the 2012 US embassy meeting were regular mainstays of the Western-backed Russian opposition, including Boris Nemtsov, Yevgeniya Chirikova of the NED-funded “Strategy 31″ protests, Lev Ponomarev of the NED, Ford Foundation, Open Society, and USAID-funded Moscow Helsinki Group, and Liliya Shibanova of NED-funded GOLOS, an allegedly “independent” election monitoring group that serves as the primary source of accusations of voting fraud against President Putin’s United Russia party. Today, many of these organizations have hidden their US funding and the US NED webpage disclosing its activities in Russia describes its current meddling in the most ambiguous terms possible. Despite this, there are still nearly 100 entries on the NED’s Russian webpage covering everything from meddling in the media, education, and the environment, to interfering in Russia’s legal system and Russian elections. We could only imagine the condemnation, outcry, and demands for action should a front similar to NED be created by Russia to interfere likewise in all aspects of American socioeconomic and political affairs, especially considering how mere accusations of “meddling” entailing e-mail leaks and social media posts have tipped off sanctions, a multi-year investigation, and even talk of treason and war. McFaul’s association with individuals and organizations funded by the government he represented is in reality the very sort of political meddling and interference many have accused Russia of since 2016. There support of someone actually involved in political meddling in Russia, further undermines their credibility and moral authority in regards to accusations against Russia. McFaul’s involvement in the recent Russian proposal was not – however – related to his role in political meddling in Russia, but instead his alleged involvement with convicted financial criminal William Browder. While the Western media depicts both McFaul and Browder’s conflicts with the Russian government as a result of their supposed advocacy for “democracy” and “human rights,” McFaul was clearly hiding behind such principles to advance US corporate interests, while Browder was attempting to gain leverage regarding his criminal conviction. Interestingly enough, George Soros – who has funded subversion in Russia alongside organizations like NED – also attempted to leverage the notion of human rights to sidestep his own criminal conviction in France for insider trading, even according to the New York Times. This troubling trend of the Western public gravitating toward and supporting individuals like McFaul and Browder solely out of their perceived hatred for President Trump and Russia is pushing Western political discourse further from rational debate and deeper toward hysteria. That powerful special interests can easily manipulate sections of the Western public to support virtually anyone or anything, including unsavory characters like McFaul and Browder or the notion of expanding NATO or continued war abroad in nations like Syria simply by invoking “Trump” or “Russia” represents a predictable but dangerous Pavlovian phenomenon likely to leave deep scars, permanently disfiguring American politics and society much in the way the so-called “War on Terror” has. The increasing lack of political sophistication in America is a reflection of a much wider deterioration of American economic and geopolitical strength both at home and around the globe. 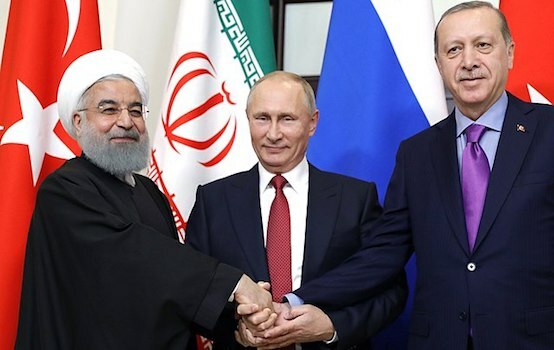 While one would expect sound leadership to begin preparing America for an orderly transition from a once global hegemon to a constructive member of a more multipolar world order, history has proven the lack of grace that generally accompanies an empire’s decline.